After two months living as nomads in hotels, we finally got to stay in a home and get home cooked meals. We stayed with family in Brussels and used this as our base for a week. We spent most of our time getting to know cousins, aunties, uncles, grandpa… it was lovely to feel like we belonged somewhere. From Brussels, we visited Bruges and the Netherlands (a.k.a Holland). 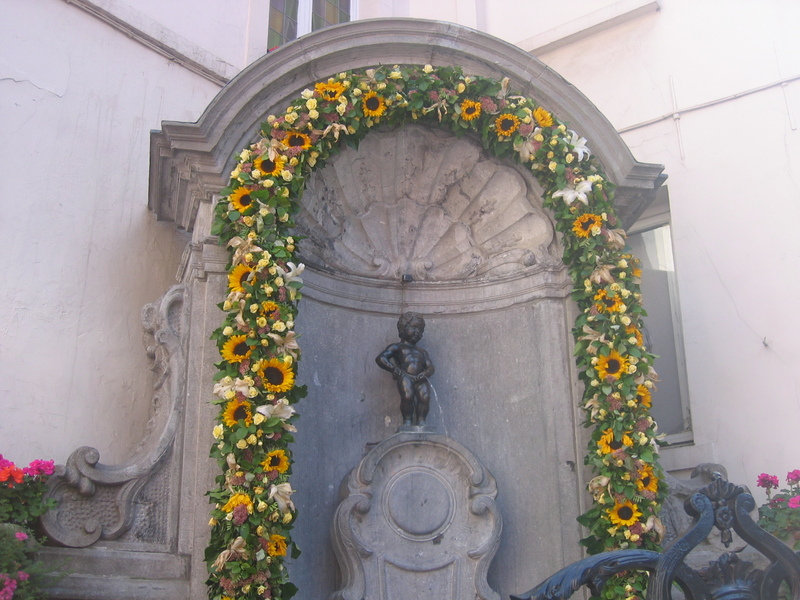 The day we visited Mannekin Pis, there was a festival on so instead of seeing the usual statue, we saw the boy dressed up. 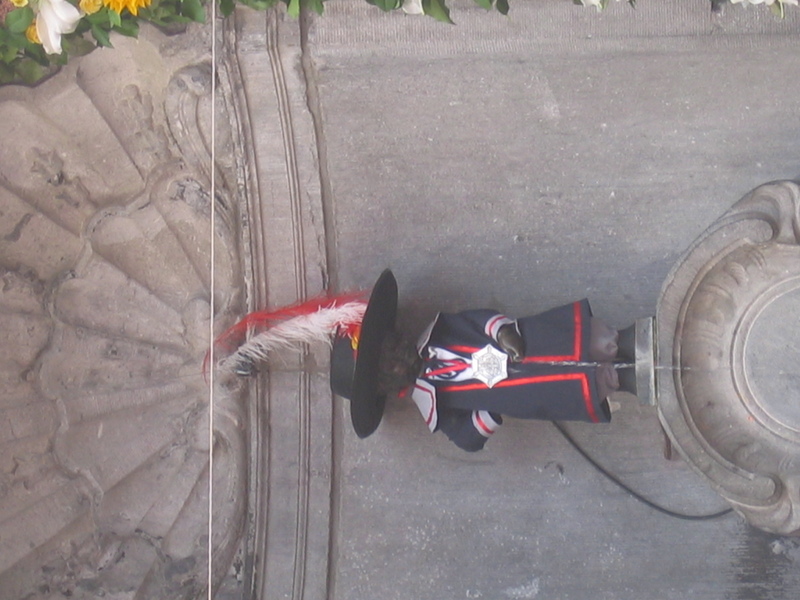 There was music and a procession before the boy was unveiled dressed in what appeared to be a Musketeer outfit. Obviously it was all in Flemish or French so we were only able to observe without really understanding. We did get to see him au naturale though when we returned from Amsterdam and were in the vicinity again. Now Amsterdam is a very small city. A city easily explored on foot or on bike….The latter of which is a very popular mode of transport. 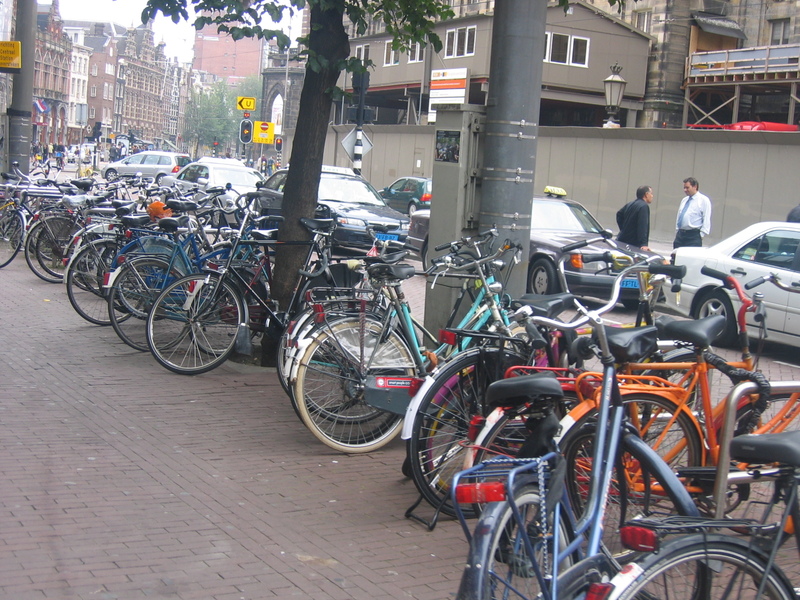 We have never seen so many bicycles parked in any one place ever! One of our must-dos for Amsterdam was to visit Anne Frank’s house. Having read her diary when we were younger, we were keen to see for ourselves what her living quarters were like. It seemed like everyone else had the same idea, hordes of people trundling up and down through the narrow house. It was a very touching and sad experience all the same. Being in the Netherlands and not eating cheese, seeing windmills, or trying on clogs would be considered outrageous! So we did a day trip to Volendam and Marken where we experienced all those three things in one day! Belgium and the Netherlands are two very quaint countries that we would one day like to come back and explore some more. This entry was posted in Belgium, The Netherlands and tagged Amsterdam, Anne Frank House, Bruges, Brussels, Holland, Marken, Netherlands, Volendam.